With game days and the Super Bowl around the corner, I wanted to share a couple of sandwiches this week and next to enjoy while you watch. But before I give this week's sandwich recipe, I want to share the bread that cradles all the goodness. I wrote about this dough in a different form not too long ago, so I won't go into a lot of detail about the crisp crust and tender inside. 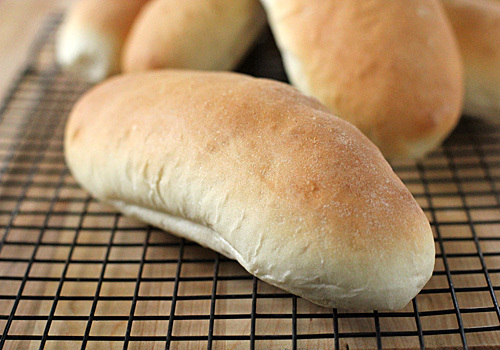 The base formula of these rolls is the New Orleans French Bread recipe. It is perfect for sandwiches like Po-Boys and submarines when you want the fillings and fixings to be the star. You can make the rolls as big or as small as you like. I usually make 6-8 depending on what else we are having, but I have even made them smaller for deli sandwiches to pack in school lunches. Speaking of deli sandwiches-- stay tuned for a classic! In a stand mixer fitted with a dough hook combine the flour, yeast, sugar, shortening, and water. Mix on low speed until a dough forms and pulls away from the sides of the bowl. Add the salt and increase the speed to medium; knead for 10 minutes. Turn the dough out onto a lightly floured surface and form it into a ball. Lightly grease the inside of the mixing bowl and return the dough to the bowl. Cover with plastic wrap and set in a warm, draft-free space to rise for 1 1/2 hours or until doubled in size. Turn the dough out onto a lightly floured surface and gently deflate the dough. Divide the dough into 6 (about 4-ounces each) or 8 (about 3-ounces each) balls. Cover with a clean kitchen towel and allow them to rest for 15 minutes. Form each ball into a 6-8-inch long roll. Place the rolls onto a large parchment lined baking sheet, cover with a damp cloth, and set aside in a draft-free space to rise for 1 hour. Preheat the oven to 375º F. Bake the loaves until golden brown, about 30 minutes. Transfer to racks to cool completely. Slice and stuff with your favorite fillings. Enjoy! What fantastic timing! We are having leftover meatballs and spaghetti tonight. The menu just changed to meatball subs. Your breads are always a show-stopper. Yes please, these sound super easy and fairly quick to make too. Thanks. These were excellent. I have tried to make bread rolls several times with less than stellar results. These tasted like bakery quality. I have bookmarked it for future use! Turned out great, and I didn't even have a mixer. hi, Im english what do you mean when you say vegetable shortening. Vegetable shortening is a semi-solid fat that is similar to lard. Yes, but the taste and texture will be different. Shortening results in a crisper crust and lighter taste. I have never commented on a recipe before. I was searching for a bun recipe and tried your recipe. It was easy and everyone in my family enjoyed. A few weeks later I couldn't find the recipe and tried another recipe. It was awful. From now on this is my go to recipe. Thanks for sharing this recipe! So pleased you enjoyed the recipe! Wonderful I use these now for poboys and sloppy Joes. I make it once every few weeks with some of my dishes. I have been a chef for quite some time but was never able to bake good bread until now. Wonderful! Ok, I cook alot, bake enormously much and I love breadbaking too. I have been searching for the right recipe for my Philly Cheese steak sandwich for a very long time. Then, I stumbled upon this site, and this recipe I had to try. 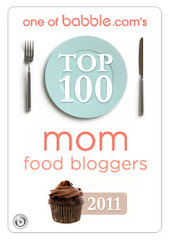 That said, I will never, ever use another recipe. This is the ultimate one! Pleased you enjoy the recipe. Now I want a Philly Cheese Steak! These are excellent. Sausage & peppers were terrific on this roll. I was wondering if you had this recipe for wheat or honey wheat? I am glad you enjoyed the recipe. I do have a whole wheat hamburger recipe that can be found here http://www.thegalleygourmet.net/2012/07/whole-wheat-hamburger-buns.html. Thank you!!! Just made these in my quest of sub bun perfection for school lunches. They turned out fantastic and the kids loved them!!!!:). So no more paying 4 dollars for 6 sub buns for this family!!! Thank you!!!! Can I freeze the bun shapes before final rise do you know? Would love to do a big batch at one time and have ready to bake when needed. You can freeze the shaped buns before the final rise. Allow them to set out at room temperature to rise before baking. These turned out great! Thanks! I just made these. 5 star. I don't have kosher salt. How much table salt would I use instead?? A general rule when substituting kosher salt with table salt is to use half the amount. So in this recipe, you would use 3/4 teaspoon of table salt. Oh my goodness. As I am just starting to learn about bread making and exploring this process. I tried this recipe on a whim yesterday. I made the dough (by hand) and let it sit in the sunshine for about an hour (I was busy doing something else) My dog guarded the bowl and was very interested how "the ball in the bowl" was growing. (Probably a big problem in puppy world.) I divided the dough into 4 because we wanted them to be larger (sub like rolls.) Baked them nicely, took butter and melted over the top when they just came out of the oven. They were about 6" subs and we cut them opened and piled them high with pulled pork. WOW!!! These are now my GO TO roll/sub recipe. I'm so impressed with this recipe, I will share with Everybody! I made these tonight to use for meatball grinders and they came out spectacular. I used my bread machine which eliminated the first rise time. I rested them, rolled them, let them rise and then baked them off. Boy were they good. I did rub butter on the tops when they came out because I don't mine that crisp. I kinda like mine more like Subways. I also used butter instead of shortening. Simply amazing. Thanks for sharing. So pleased you enjoyed them with your adaptations! I generally use 2 bread recipes in my home. 33 cents a loaf is certainly cheaper than $1.00 - $4.00 a loaf. I've been searching for a recipe like this that didn't come out too dense or too crumbly and one that I can make hot dog buns from (half size rolls are perfect). Thank you!